Karina is a business economics major at San Diego Mesa College. In Fall 2018, she began attending UC Berkeley Haas School of Business. Karina is an international student from Russia. Prior joining Mesa College, she has travelled to and studied in countries like Germany, Egypt, England, Turkey, India, and China. She had intensive language/culture programs in the United States, Yale University; Germany, Humboldt Institute; and England, Embassy School. At Mesa College, Karina is a President of Phi Theta Kappa Honor Society and Vice President of college’s Business Club. She has also initiated two community projects: Plastic Bottle-free Campus and Homeless Students Housing Projects. While being a leader and community volunteer, Karina has maintained a cumulative GPA of 4.0 and received the following awards: All-California First Academic Team, Associated Students Leadership Award, Learning Resource Center Award, Certificate of Academic Excellence, and Dean’s List First Honors. Karina enjoys looking at a large diversity of companies and focusing on investment and strategy. Early stage companies are what excites her the most about venture capital. Karina is passionate to explore startups and their business models and see how they can grow with the little support. 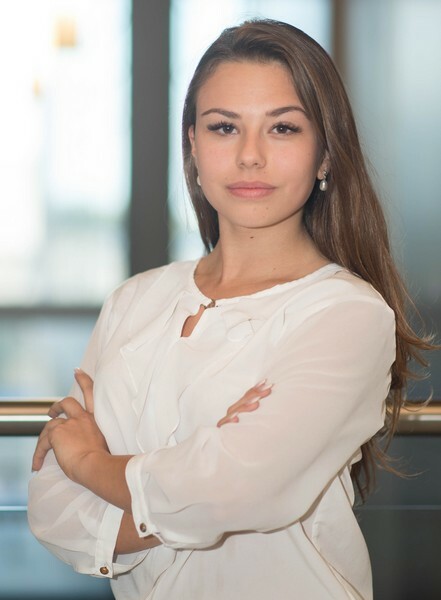 Karina’s previous internship was with the Equity Research firm where she conducted stock market research and provided clients with daily stock market suggestions. During her internship, she was able to learn and incorporate such technical analysis measurement tools as 3x3 and 25x5 DMA’s, key expansion, retracement levels etc. Karina is a sport lover and a professional dancer. She was a captain of her volleyball team at high school and competed regionally. She also did acting and performed on a stage. Karina enjoys gymnastics, snowboarding, scuba diving, rafting, and other sports. Karina loves active life style, but you can often find her with a good book at home.